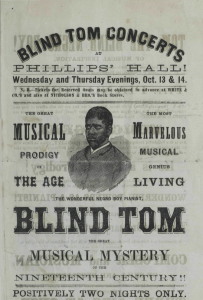 This entry was posted in Sophia Butler and tagged black musician, Blind Tom, Emancipation Proclamation, The Musical Visitor by butler. Bookmark the permalink. Fascinating post, S! Your post dovetails nicely with CA’s post on Frank Johnson, a touring instrumental musician in the antebellum North. Clearly “scientific” claims to any race’s inferiority are false and odious, but there’s something particularly strange and twisted about the claims you describe. 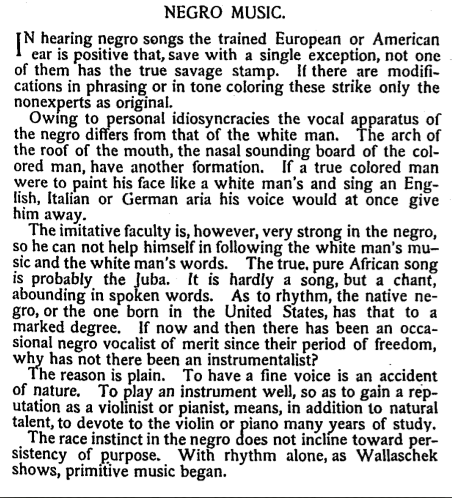 On the one hand, black Americans can’t *help* imitating white music; on the other hand, they’re incapable of succeeding musically. 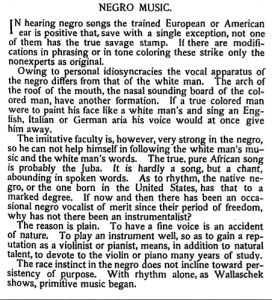 More than anything, this article demonstrates that white society felt threatened by black music – not because it was transgressive, but because it was really, really good. 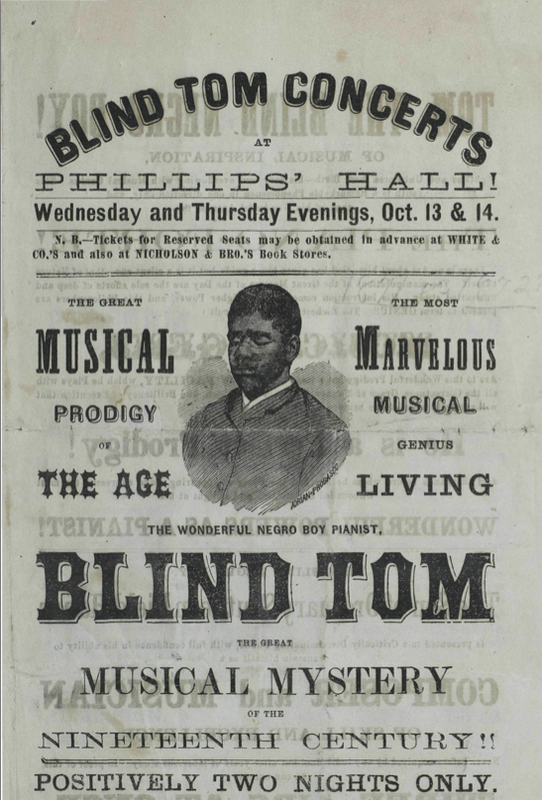 Just out of curiosity, where did you find the “Musical Visitor” article and the Blind Tom poster? Both are great artifacts, I just want to make sure we can get back to them if we decide to use them in the exhibit. Keep up the good work!